The 1st Bainbridge Rotary Float and Bloat was a great success! Close to 20 Rotarians and guests paddled canoes and kayaks a few miles down the Susquehanna on a beautiful fall afternoon. After paddling, the group gathered under the pool pavilion to enjoy the"bloat" - a pot luck supper featuring barbecued pork. 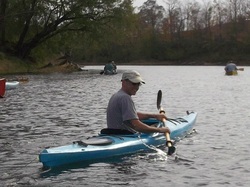 Bainbridge Rotary had its 5th Annual Rotary River Rides on Saturday Sept 15,2012 at General Clinton Park. 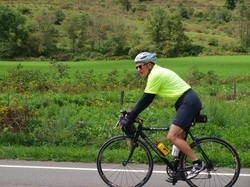 The rides followed the beautiful valleys of the Susquehanna and Unadilla Rivers with lovely fall foliage. The rides were fully supported with SAG vehicles, food and refreshements, cue sheets and our famous BBQ at the finish. 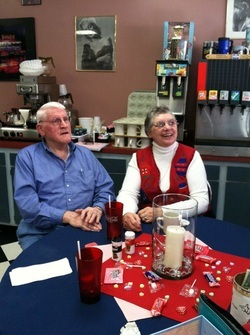 Each year, Bainbridge Rotarians put together a Valentine's Day luncheon to show our support for those we love in our families and our community. People come who have given of themselves to the Bainbridge community. Bainbridge Rotary partnered with the Bainbridge Chamber of Commerce for Winterfest in General Clinton Park. Rotarians served chili to visitors who come to the park to enjoy winter activities, including sleigh rides and cross country skiing when the weather cooperates. 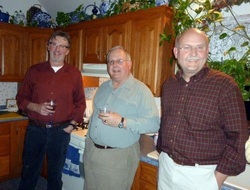 The annual Bainbridge Rotary Christmas party allows Rotarians and guests to enjoy the season and have some fun. It's also a chance to benefit local charities - in 2011, the local branch of the Salvation Army and Orphan Cry, an international charity, each received generous donations from the Bainbridge Rotary Christmas collection. The Bainbridge Rotary Club provides hot cider, hot chocolate and cookies to community members at the Toys for Tots Santa Train that stops on the railroad tracks in Bainbridge. When the Bainbridge community was hit hard by flooding in September 2011, the Bainbridge Club raised funds from other Bainbridge organizations and businesses and created Bainbridge Dollars. Each family that was flooded was given $50 in Bainbridge Dollars to redeem at local businesses for needed supplies. Bainbridge Rotary members hand delivered these Dollars, along with other small gifts, to each of the 88 families that had been impacted by the flood. 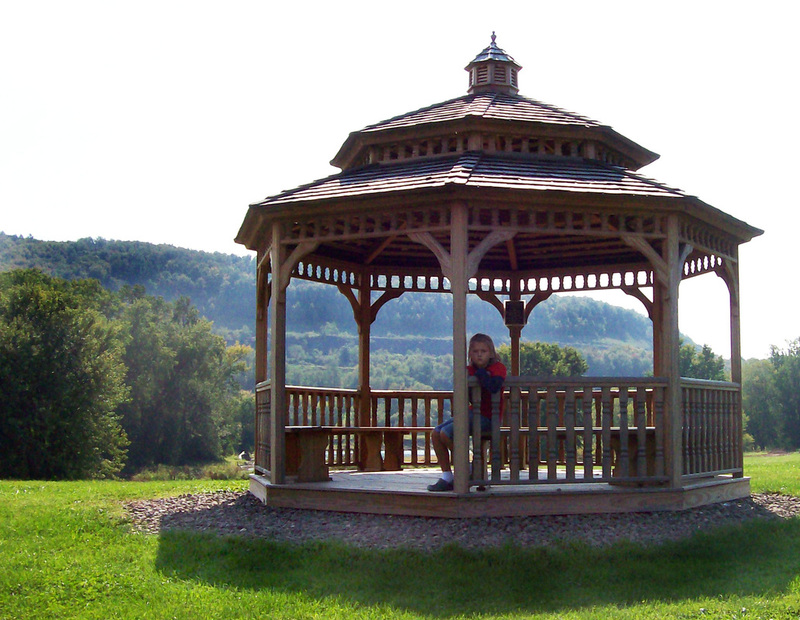 Shortly after the new band shell was constructed in General Clinton Park, Bainbridge Rotary members designed and constructed the attractive skirting to complete the project. The Club has spearheaded a project to provide Friday night pizza parties at the Town Pool in the summer. Bainbridge Rotary provides the pizza and manpower for a few Fridays and other community groups take their turn as well. Though it was initiated as a Bainbridge Rotary project, it is great that other groups have gotten on board as well.